If you are exempt from automatic enrolment (e.g. 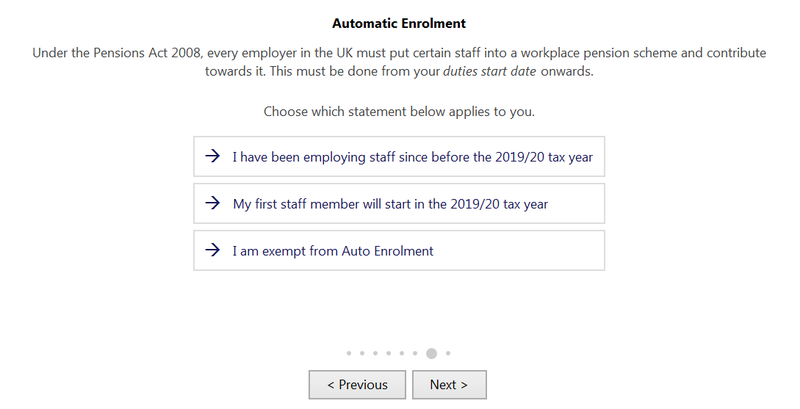 you are a single director company), select the option 'I am exempt from Auto Enrolment'. 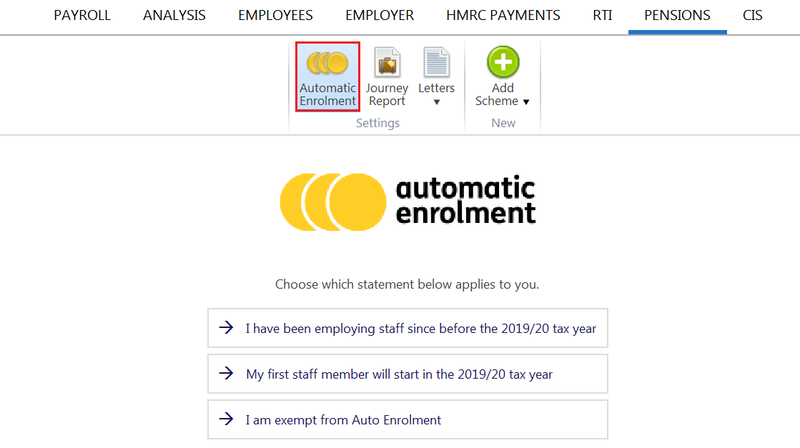 This will prevent any automatic enrolment alerts appearing in the software going forward.